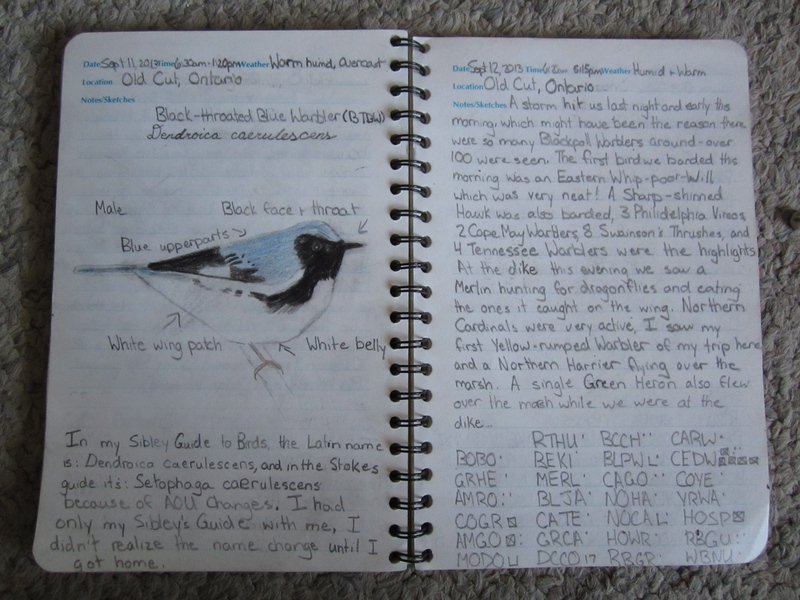 This entry was posted in Alberta Birds, Birding, Blogging, Canada Birds, Drawing/Painting, Feathers on Friday, Field Sketches, General Birding, Nature, Ontario Birds, Summer and tagged Black-throated Blue Warbler, Field Sketches. Bookmark the permalink. Happy New Year Charlotte. I see your notes mention a Whip-a-Will. Great bird there. Happy New Year to you too, Bob! Yes, we banded an Eastern Whip-poor-Will which was very exciting. Wonderful drawing, the Black-throated Blue Warbler is a pretty bird. Have a happy weekend! That’s a lovely drawing. I wish I used sketches more – it really helps solidify an ID. You keep such great notes! Terrific sketch of this very handsome bird! I fondly remember spotting several of these beauties during fall migration. Wishing you a healthy, happy New Year, Charlotte! Thank you very much, they are very handsome birds! Very nice sketch. 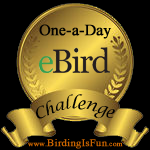 Do you usually sketch the birds while you’re watching them, from a photo you took, or from a bird guide? Here’s my entry for the week. I have to use a photo or look at a field guide to get the right shape of the bird I’m sketching. Thank you for joining me for FoF Stephanie! Charlotte, I love it when you share your field notebook drawings with us, you’re talented.